The Dimensions Certified Nature Explore Classroom is divided into two separate yards (Infant/Toddler and Preschool/School Age) and is located next to the Dimensions Early Education Programs indoor classrooms, which serve over 300 children ages 6 weeks to 12 years throughout the year. 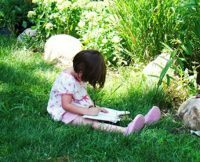 The Nature Explore Classroom is an integral part of the Dimensions Early Education Programs’ research-based approach to meeting children’s social, emotional, physical, and intellectual development and to supporting the interests and needs of all learners. 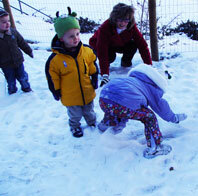 Children use the outdoor space each day, all year long, even in inclement weather. Dimensions Early Education Programs serve as research classrooms for the Dimensions Educational Research Foundation. Ongoing field testing and data collection and analysis occur on an ongoing basis. Nature Explore Classroom activity areas are divided by natural plant materials and various textured ground surfaces. The areas in both yards include Building, Nature Art, Music, Sand, Dirt-Digging, Garden, Climbing and Crawling and Messy Materials Areas. 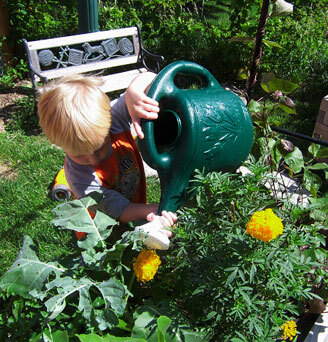 The Preschool/School Age yard also includes a greenhouse and a pathway through plantings.